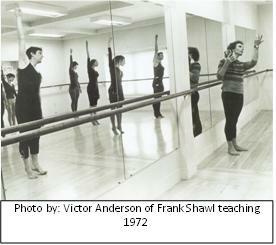 Co-Founded by Frank Shawl and Victor Anderson in 1958, the Shawl-Anderson Dance Center (SADC) based in California’s Bay Area is more than just a place to take class. The Center is committed to supporting a space for dance and its creative expression at all levels by all practitioners. The Center is committed to developing the emerging and established choreographer as well as evolving the art form. How does Shawl-Anderson Dance Center encourage and support emerging choreographers? When Shawl and Anderson sank roots in the Bay Area from New York City in 1958 they discovered a gaping void in the Bay Area arts scene: contemporary dance had no home in the East Bay. Emerging choreographers themselves, Shawl and Anderson created a space for education and performance with a deep civic ethos, favoring mutual respect and support over competition and rivalry. In the ensuing decades it evolved into a model ecosystem of art and community that empowers people through their moving bodies. Today, SADC supports emerging choreographers by providing residencies, fiscal sponsorship, and teaching and performance opportunities. Through decades of mentorship, SADC has become a space in which organic inter-generational relationships grow, creating mutual support and encouragement that is fundamental to our work. What is the impact of the Shawl-Anderson Dance Center on Northern California’s East Bay dance community? 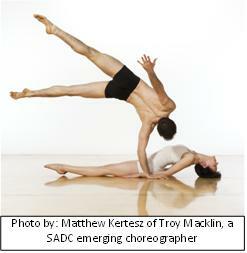 SADC is a place where belief in the power of dance to change the individual is in the very air of the building. Thousands of moving bodies, ages one and a half to well over 80, pass through the Center each year, and generations of people of all backgrounds have brought their aspirations, sweat, and joy to classes, rehearsals, performances, and more. Five and a half decades of work and dedication have resulted in: over 100 dance classes per week for all ages and levels; master classes linking our community to world renowned artists, from a 1967 class with Charles Weidman to a 2012 class with the Bill T. Jones/Arnie Zane Dance Company; residency space for three companies and three artists each year allowing for the creation of new work by early and mid-career artists; fiscal sponsorship and co-presentation that brings dance to the public; scholarships for children and adults; and, last but not least, a place that so many call their second home. Humanist: Shawl and Anderson were mentored by May O’Donnell in New York City in the 1950s. From O’Donnell, they learned that treating the dancer as a human being first is not antithetical to artistic integrity. It is, in fact, what allows us to create dances and dancers that are richly embodied, whole, and present. Our teachers and artists take this approach each day allowing every person dancing in our building – from the beginner to the skilled – to experience fulfillment through the form. Rooted: We are connected to the past and grateful to stand on the shoulders of our dance mothers and fathers. By knowing where we came from, we can open up to the possibilities of the future, encouraging and fostering innovation. It is this connection to the past that drives us forward. Loving: In a recent interview, Shawl was asked what sort of advice he would give to the next generation. His answer was simple: “Love what you do. Absolutely. Your love of what you’re doing drives you to the next step, the next phase.” Our day-to-day work is imbued with a love for dance and an abiding need to share it widely. We believe that dance in the future will become more diverse and more integrated with other art forms. We see SADC a part of that vision by serving as a hub for dance, erasing the lines between performance and education, outside and inside, learner and teacher, young and old, and the pedestrian and the polished mover. We believe our multi-generational environment and the community we have established has the power to alter public perception of how dance is practiced as well as how it is situated in the public arena. Shawl and Anderson’s work focused on the widespread effort to democratize the art of dance and reintegrate it into everyday life. The Center is best positioned to continue this effort and see that dance is increasingly viewed as an accessible art form in our cultural landscape.